Going green is about empowered citizens making choices in our daily lives that promote a healthy planet, from what you eat to what you wear, to how you get from here to there, to civic engagement in your community. Sustainability means supporting the environment and using natural resources responsibly, so future generations can enjoy our planet too. One of the key environmental issues of our time is our climate changing, which is connected to global carbon emissions. When we burn fossil fuels for energy, we add more and more carbon into the atmosphere. This buildup acts like a thickening blanket that traps heat more and more. The denser the blanket gets the more heat it traps underneath. This trapped heat is warming our average global temperature and disrupting the climate. Our climate system is changing in many ways around the world, impacting people, places, and animals. For example, the extra heat results in the loss of the amount of sea ice on the planet. It also leads to longer warm seasons – the ice breaks up earlier in the spring and forms later in the fall. These changes in climate drastically affect polar bears habitats and makes it harder to find food/build dens. 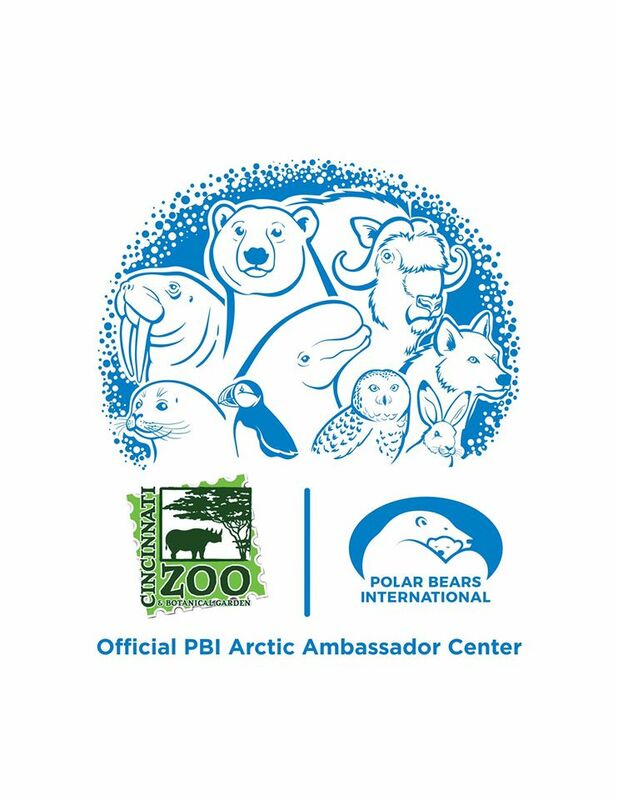 The Cincinnati Zoo is proud to partner with Polar Bears International as an Arctic Ambassador Center. The goal of this partnership is to sustain a future for polar bears across the Arctic. Heating and cooling account for roughly half the energy consumption in an average home, according to the U.S. Environmental Protection Agency. 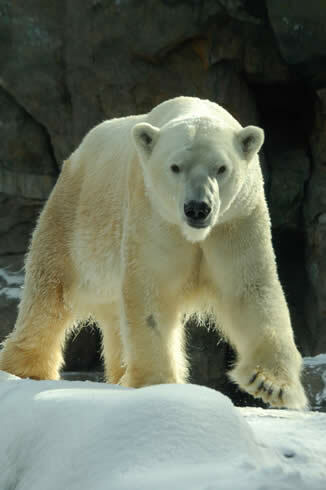 Learn more about climate change from Polar Bears International by clicking here. Huge problems like habitat loss and climate change will only be solved by hundreds of millions of better, more informed, decisions being made every day across America.” – Cincinnati Zoo Director Thane Maynard. The Cincinnati Zoo & Botanical Garden has been dedicated to the conservation of plants and animals since 1875. Proclaimed the “Greenest Zoo in America” in 2010, the Zoo has continued to lead the way in sustainability and green initiatives by evolving our daily operations and reducing our impact on the environment. 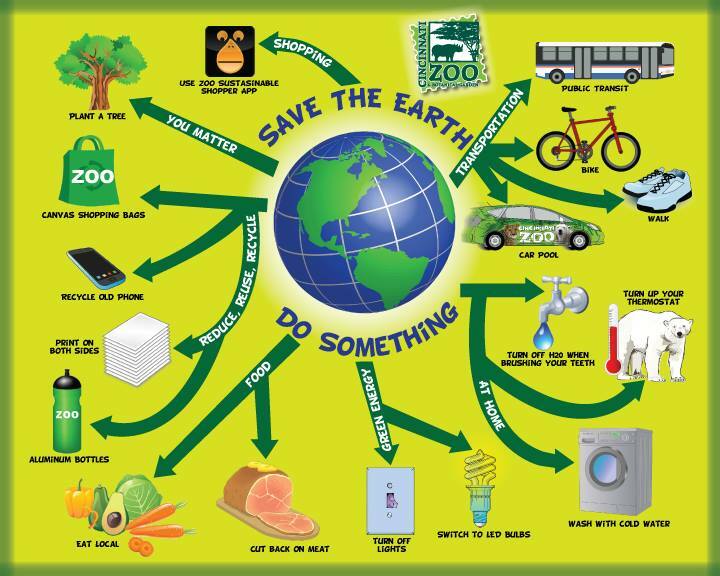 Through green building, solid waste management, renewable energy, water conservation, storm water management, energy efficiency and community outreach, the Zoo has strengthened our sustainability program to have a positive impact on the planet. 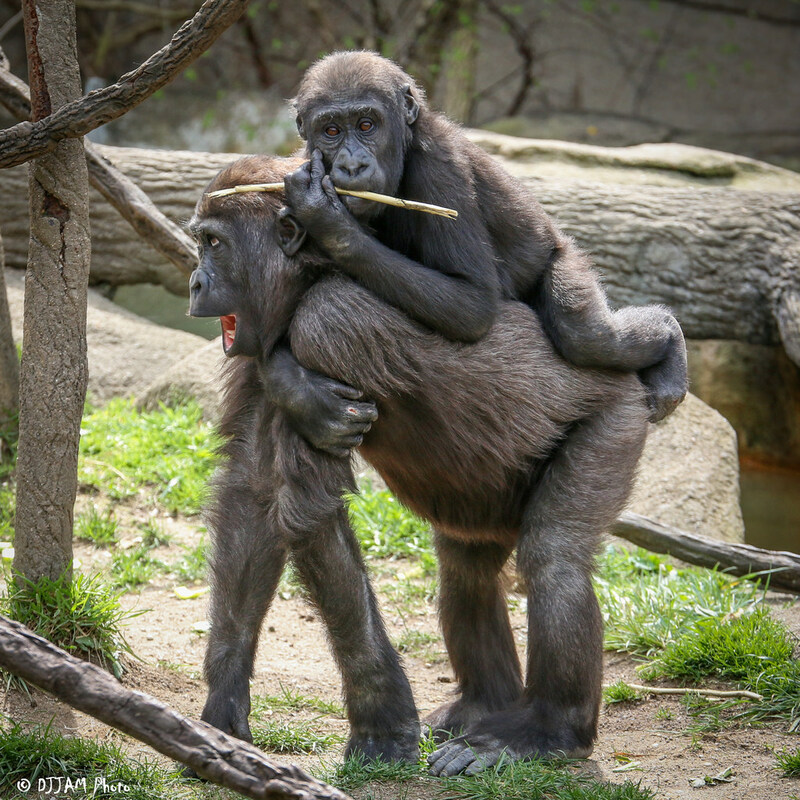 Click here to see how we do sustainability at the Zoo. 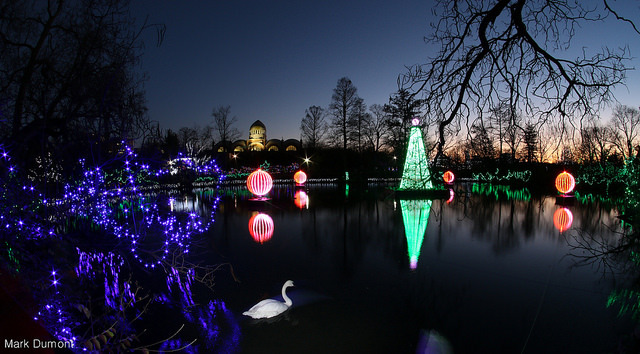 LED lights: The Cincinnati Zoo switched from incandescent lights to LED lights for the PNC Festival of Lights winter event, reducing energy usage by 75 percent. Renewable Energy: At the Zoo, a 1.2kW wind turbine is installed in the Go Green Garden Exhibit. In 11 mph average winds, it can produce enough energy to run your dishwasher and refrigerator for an entire year (2000 kilowatt hours). Our Windspire wind turbine, along with the solar panels in the Go Green Garden, are meeting approximately one third of all of the power demands for the Membership and Ticketing Building. 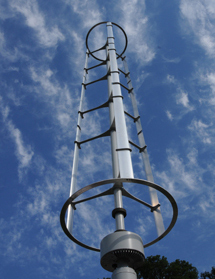 Learn More: Windspire wind turbines are being used by homes, schools & businesses. Visit our Green Tips page to find out more about how you can utilize this free energy source; also read “Working with Wind“. Solar panels have a become a regular sight at the Zoo. A 20kw solar array adorns the roof of the Harold C. Schott Education Center, providing up to 25 percent of the energy needs to operate the building. 10kw solar panels are at the Go Green Garden Exhibit. These panels, along with the wind turbine, are providing more than a third of the power demands of the Membership and Ticketing Building. 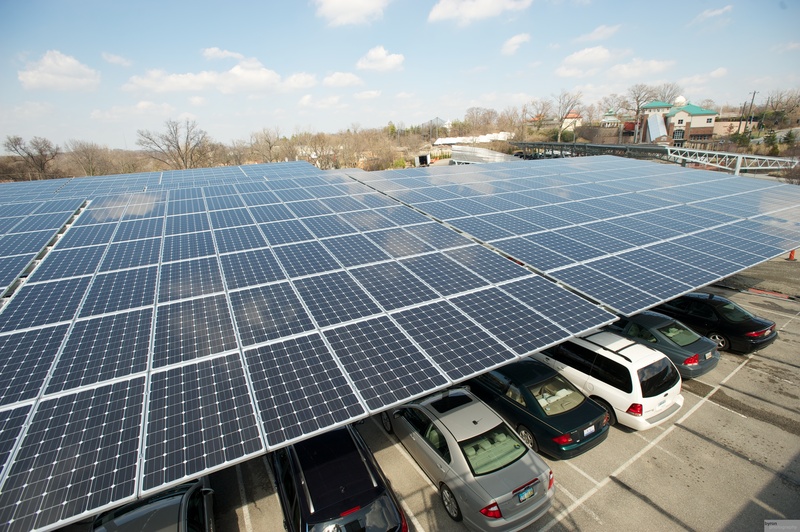 The latest solar panel project, a 1.56 megawatt array with 6,400 panels installed on a canopy structure will greet guests as they arrive in the Vine Street Parking Lot. 36 geothermal wells use this geothermal heat transfer to contribute significantly to the heating and cooling of the buildings located in Historic Vine Street Village. Several options related to biomass energy are being explored, including a small scale anaerobic digester that will generate energy from elephant waste. The train and other diesel vehicles use biodiesel. 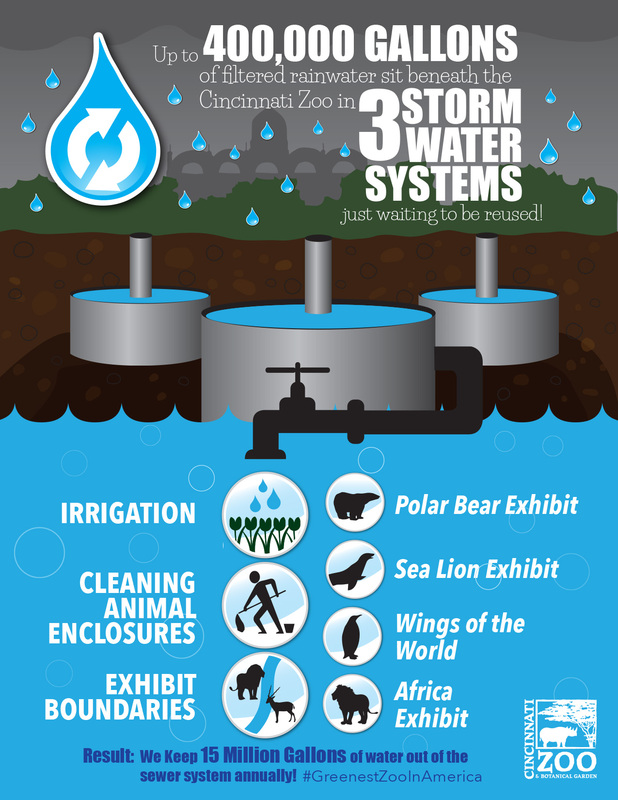 Saving Water: The Cincinnati Zoo & Botanical Garden has saved 1.65 BILLION gallons of water, enough to provide water (indoor and outdoor use) for 10,000 households for a year, since 2006 when it launched a major initiative to reduce water usage! 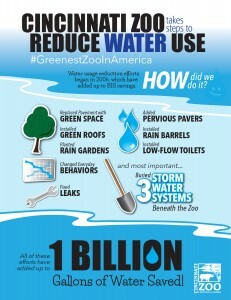 The Zoos’ annual water consumption reached a staggering 220 million gallons in 2005. As a responsible steward of the environment and a non-profit business striving to spend dollars wisely, that number was unacceptable. By aggressively fixing leaks in exhibit pools, installing low-flow faucets and fixtures, upgrading filtration systems and changing everyday behaviors, the Zoo brought the 2005 figure of 220 million gallons, enough water to fill around 335 Olympic sized swimming pools, down to 74 million gallons by the end of 2012 and used even less, 52 million, last year. 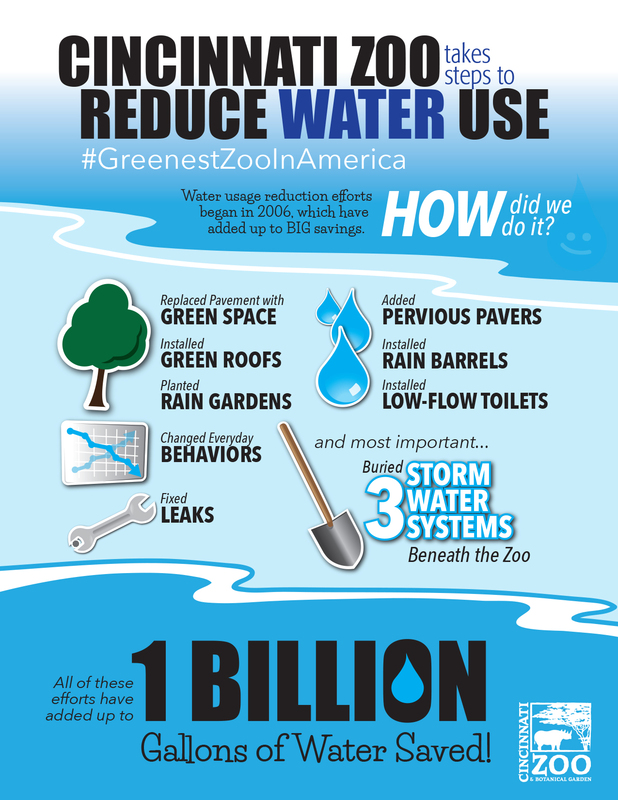 This reduction in water waste and consumption has saved the Zoo 11.5 million dollars on its water bills; money that’s being reinvested in the Zoo’s infrastructure. 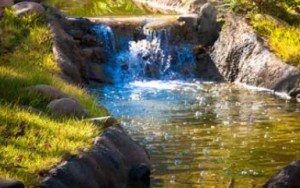 The Federal Environmental Protection Agency (EPA) is using the Zoo’s storm water management system as a model. All the materials used to build each of our LEED projects are sustainable as possible. Some features of these projects include no or low VOC paint, bamboo flooring, 100% recycled carpet, strawboard countertops, recycled steel, recycled drywall and plastic lumber. The Zoo has also gone through existing buildings to green them up as much as possible. 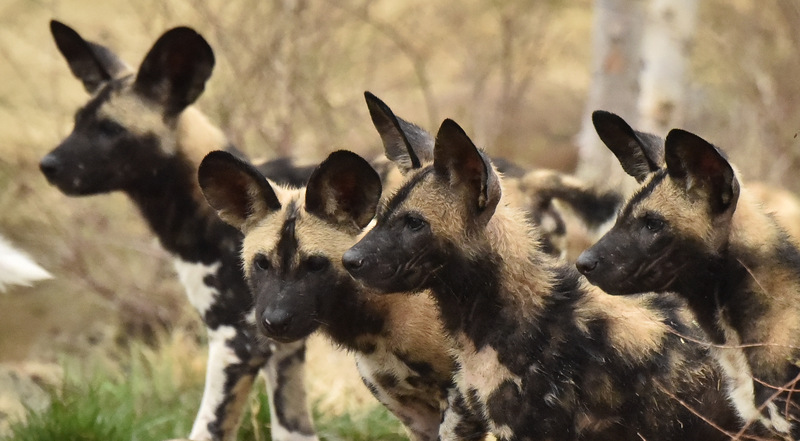 The Cincinnati Zoo is pursuing its most ambitious challenge in sustainable construction yet: the Living Building Challenge for the African painted dog exhibit in Africa. The Living Building Challenge is a non-profit, international building certification program that promotes the most advanced measurement of sustainability for building and construction projects. This would make the African Painted Dog Exhibit would one of the Greenest Facilities in the Country! Click here to learn more about this exciting project! Polar Bears: In 2014 the Polar Bear Challenge met its goal of raising $35,000 with a final total of $35,519 in community support. A very special word of thanks to the Young Family Foundation and the Laura & Joseph D. Haas Jr. Family Trust for matching every gift dollar for dollar up to $35,000. The funds were used to directly support The Lindner Center for Conservation and Research of Endangered Wildlife’s (CREW) Polar Bear Conservation Project which is working to create a more stable future for the world’s threatened polar bears. 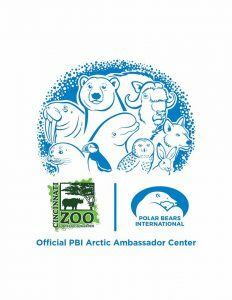 In 2018, scientists from CREW at the Cincinnati Zoo & Botanical Garden have made significant strides towards unlocking the secrets of polar bear reproduction and will continue their work thanks to a $244,000 grant from the Institute of Museum and Library Services (IMLS). The award was funded by the agency’s largest competitive grant program, Museums for America. As consumers, we all have the power to protect wildlife by using the Sustainable Shopper app to choose products made with Certified Sustainable Palm Oil. Palm oil is used in many of the foods and products we consume every day from frozen vegetables to shampoo. Oil palm plantations are spreading across Indonesia, which produces 85% of the world’s supply of palm oil, often to the detriment of its rainforests and wildlife. As consumers, we can choose to buy products made with sustainable palm oil as certified by the Roundtable for Sustainable Palm Oil (RSPO). The Sustainable Shopper app connects you with more than 500 products manufactured by RSPO-certified companies. 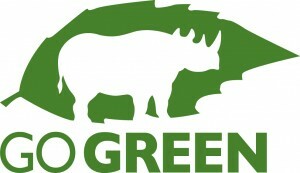 To get the app: The Cincinnati Zoo Sustainable Shopper Web App is no longer being maintained. Please use the Cheyenne Mountain Zoo website and app (Android | iPhone) for the most up to date information. Recycle Cell Phones, Save Species: Have old cell phones sitting around your house? One way to join the Zoo in going green is to recycle those old phones, pagers and PDA’s. Recycling your cell phone reduces the need to mine coltan, an ore found in gorilla habitat, which is used in cell phones. This mining causes habitat destruction, pollution and other harmful effects to the gorillas and other animals living in this habitat. Recycling your cell phone helps to reduce these harmful effects globally, and locally prevents harmful chemicals from entering our own landfill and groundwater systems. EV Charging stations: The Cincinnati Zoo is home to new EV Charging stations! The Zoo was one of the first five faster-charger stations for electric vehicles in Cincinnati. The chargers can refuel an average electric vehicle in about 20 minutes. 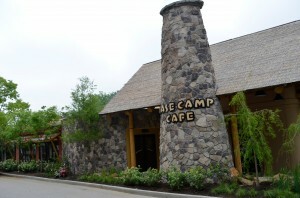 Home of the Greenest Restaurant in America: The Cincinnati Zoo’s Base Camp Café has earned the “greenest restaurant in America” title for 2015 according to the Green Restaurant Association (GRA). Base Camp Café, located in the Zoo’s Africa exhibit and operated by System Service Associates (SSA), sources 70% of its produce from vendors who are within 100-250 miles of the zoo. Much of it is grown at the Zoo-owned Bowyer Farm in Mason in partnership with Green Bean Delivery, which supplies the Zoo and Zoo campers with organically-grown produce. A greenhouse just outside the restaurant provides year-round fresh vegetables through an aquaponics system. LED lighting and natural lighting throughout building. Recycled 1930s building to divert construction waste from landfills. 95% of all post consumer waste from the Café is diverted from landfills. Uses certified grass-fed burgers from White Clover Farms. Most of the equipment in the restaurant is Energy Star rated. Old grease is turned into biofuels. Furniture is made of plantation-grown teak. About 2 million plastic bags are used every minute around the world. Americans use and throw away 100 billion plastic bags every year. Only 3-5% of plastic bags get recycled. The average American family takes home 1,500 plastic bags a year. Bring Your Own Bag: Do you part for the planet and bring your own reusable bag or purchase your Zoo-themed reusable tote from the gift shop for only $2.99. Thank you for helping us be the #GreenestZooInAmerica! Cincinnati has set a goal to be on 100% renewable energy by 2035! Click here to see the 2018 Green Cincinnati plan. Click here to learn more about recycling in Cincinnati. Click here to read Citywide Environmental Efforts in Cincinnati. The Cincinnati Zoo has one of 39 bike stations located around the city and rental passes are available daily and annually so whether we live here or are just visiting, we can choose Red Bike as an alternative transportation option that is both healthier for ourselves and our planet. The program has received a lot of community support with almost 88,000 rides the first year! Just think, that is over 88,000 car trips saved just in one city alone! The Red Bike Program here started with just a few corporations that were interested in helping start this program for the city. When you get home, talk to your local representatives and businesses and mention the success Cincinnati has had with such a program. The Cincinnati Bell Connector is an electric mode of transportation operating in its first phase on a 3.6-mile loop connecting key communities in the city’s urban core. This reduces the need for parking lots & cars on the road! 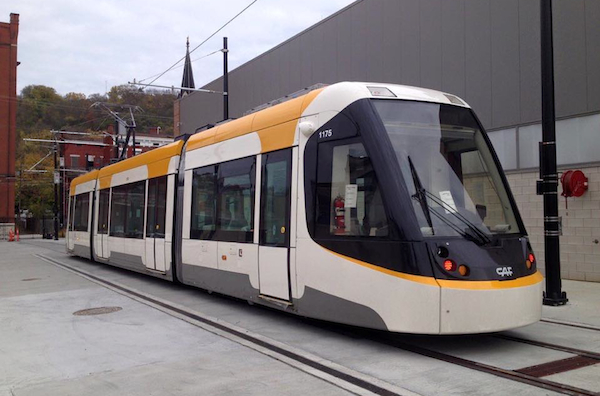 The streetcar completed 18,000+ rides during the Cincinnati Begnals home opener weekend alone! Metro is… How more than 50,000 people get to and from work, school, shopping and more each day. It’s the way a fourth of all downtown workers get to their jobs daily and the green way to go! An individual who rides Metro instead of driving a car will reduce carbon dioxide emissions by more than 4,800 pounds each year. Nationally, public transportation use saves 4.2 billion gallons of gasoline each year. It decreases other harmful pollutants and cuts traffic congestion and idling. Metro goes even greener by using rainwater to wash buses, burning waste oil to heat garages, recycling and reusing motor fluids such as antifreeze, refrigerant and power steering fluid and by recycling paper, plastic, cans. Hybrid buses are a green alternative to traditional diesel-powered buses. They are powered both by an electric motor and a diesel engine. Hybrids use less fuel and emit less exhaust because they use electric power for acceleration. Each hybrid will dramatically reduce emissions and each will save 3,000 gallons of diesel annually fuel compared to Metro’s current diesel buses. It’s all about being green and saving green. 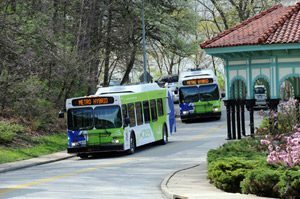 Metro now has 27 hybrid buses in its 344-bus fleet in Cincinnati. Its first six hybrids have been on the road since Earth Day 2009. Another three hybrid buses were added in August 2010 and four hybrid “mini-buses” hit the road in December 2010. In December 2011 and January 2012, Metro more than doubled its hybrid fleet with 14 additional new hybrids in 2014 and 2015. 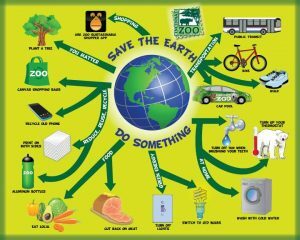 To reduce your carbon footprint and live a greener lifestyle, check out the following ideas. Going vegetarian one day a week for a year has the carbon emission equivalence to not driving your car for 5 weeks! Plus, it’s an awesome way to get creative with cooking and adding more vegetables to your diet. Also, look for grass fed, local, organic, no antibiotics/hormones, and unprocessed meat and seafood when you’re at the grocery store. If you are going out for dinner, check menus online—many restaurants feature a few different vegetarian/vegan options. Support local green business! By shopping local (like at the historic Findlay Market), you’re helping to strengthen our local food system and reducing its carbon footprint. Local businesses like La Soupe and Gabriel’s Place are fighting to combat hunger in Cincinnati.. According to the United Nations Environment Programme, 30-40% of the food supply in the U.S. is wasted – more than 20 pounds per person per month. Remember to buy and cook only what you’ll eat, to reduce food waste at home. Consume foods that are minimally processed and packaged (e.g., potatoes vs. potato chips) and purchase fruits and vegetables grown locally on small-scale farms. Use the Sustainable Shopper guide when purchasing foods and products, to make the best choices that use sustainable palm oil. Click here to find healthy, green, and sustainable businesses near you! Water: In the garden and yard, plant drought-resistant species to reduce your need for watering, and only water in the early morning to minimize evaporation. Turn off faucets when brushing your teeth, shaving, even washing your hands. Commit to short showers and running dishwashers and washing machines only when there is a full load. Energy: Solarize Cincy is a new program from the Energy Alliance that makes purchasing solar panels for your home simple and more affordable. The Cincinnati Zoo has also partnered with this project to help us use less energy. When purchasing new appliances, seek equipment with the Energy Star logo, and don’t forget to turn appliances off when not in use. Use low-tech methods when possible (e.g., line-dry clothes and utilizing natural lighting). Be social! : Interpret the facts about climate change to your friends and relatives. Encourage members of your social circles to adopt sustainable lifestyles—and lead by example. To help create a stewardship ethic in your community and raise awareness of how lifestyle changes can make a difference, take part in local green initiatives like planting trees, recycling drives, or bike to work days—or start your own. Transportation: Walk or ride a bike and check out Cincinnati’s public transportation options. Drive the most fuel-efficient vehicle for your needed task and drive at the most efficient speed for your vehicle. Talk to friends and coworkers about carpooling or ride share programs. Support community bike lanes, no idling efforts, and mass transit options. Going Beyond: We can go past daily activities and small behavior changes. Signing a petition is a way to demonstrate what issues matter most to you and allows you to participate in the process of change. Even online petitions can affect local, state, or national legislation and public opinion. Your signature does make an impact! If you feel strongly about an issue and have the resources to do so, volunteer to help collect signatures and spread the word. Go to a Town Meeting. This is the perfect way for citizens to know that their voice is being heard by local officials. These are the folks your community elected, and a town meeting is one way to hold them accountable. Calling representatives is a wonderful way to make sure your opinion gets to Washington, DC. Calling senators and representatives puts an issue to the top of their mind, and it’s not as intimidating as it sounds. There are script guides online, but try to make your call personal—they’re people too! Text (520) 200-2223 with your zip code to find out who your representatives are, and research how they stand on issues that are important to you. Want more? Research groups in your neighborhood or city that are taking action. Donate money or volunteer for organizations that are pushing for change.